Yes, you can pre-load 9 months in advance. 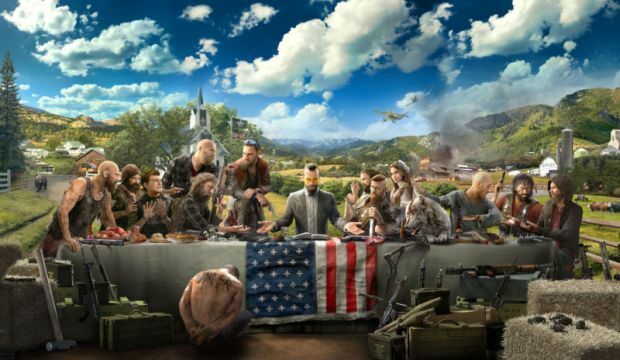 Ubisoft revealed Far Cry 5’s gameplay this past Friday, showcasing Hope County, Montana and the cult of Eden Project that was aiming to take over the town. You play as a town deputy, fighting alongside other citizens to repel the cult. Ubisoft also detailed the Deluxe and Gold Editions of the game. The former will have all kinds of packs to give access to weapons, vehicles, explosives and so on – it retails for $69.99. The Gold Edition, meanwhile, will have all of the Deluxe Edition content but with the Season Pass as well. It retails for $89.99. Far Cry 5 is out on February 27th 2018 for Xbox One, Project Scorpio, PS4 Pro, PS4 and PC. Check out the pre-order bonus and full list of Deluxe and Gold Edition content below. Pre-order Bonus: Doomsday Prepper Pack – includes the prepper outfit, gun and vehicle skins, plus additional consumables. Far Cry 5: Gold Edition – $89.99: Includes all Deluxe Edition add-on content, plus the Season Pass.